January 2012 has two dates of especial revolutionary significance for all our devoted followers. January 5 is the ninety-second anniversary of the sale of Babe Ruth by the Boston Red Sox to the New York Yankees. It was the birth of the Roaring Twenties. 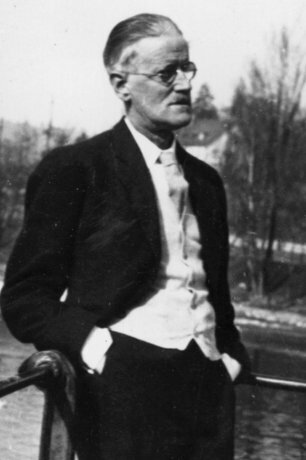 January 13, 2012, will be a full seventy-one years since the death of James Joyce. On the day after, the bulk of the novelist’s work falls into the public domain. This entry was posted in Baseball, Yankees and tagged Babe Ruth, Boston Red Sox, Literature, New York Yankees. Bookmark the permalink.